Moving is a lot of work and can create a lot of stress. There’s an easier way. If you are planning a move to or from Providence, Rhode Island, Rainbow Movers is the local mover you can trust to provide a seamless, stress-free transition. Whether you’re buying a new home, downsizing to an assisted living facility, leaving the state or moving across the street, we can help. Providence is a city rich with history, so choose the mover that’s been around since 1918! We specialize in helping people like you experience organized, on-time relocations. Our residential moving services include both local and long-distance moving. Whether your family is moving across town or across the country, you can trust our residential movers to care for your possessions. Not only will we provide a dedicated moving consultant to ensure a smooth process, but we’ll let you choose from full-service packing, fragile-only packing and self-pack options. Find out more about our Providence, RI residential moving services. When it comes to business moves, you need the kind of smooth support that minimizes disruptions to day-to-day operations. Our corporate movers can help you with everything from relocating equipment to moving employees to new locations. Find out more about our corporate moving services in Providence, RI. Moving to a new country can be a daunting prospect, but when you have Rainbow Movers on your side, you have support from international specialists well-versed in global relocation. As a leader among international relocation companies, we’ll help you step by step through your move — from initial planning to clearing customs. This goes for both individual family moves, and corporate moves that include moving your business as well as your employees’ households. Learn more about our international moving services. There are many situations where having extra storage space is helpful or necessary. Whether you’re between homes, looking for a secure storage solution for valuables or needing racked and palletized storage for your business, we can help.  Rainbow Movers is the Providence, RI moving company that offers climate-controlled storage facilities for both short- and long-term storage needs. Learn more about our residential and corporate storage solutions. To learn more about how our local and long-distance moving company can help you, call us today at 508-528-4111. Let us provide the support you need in a time of transition.